STEM CORE is excited to host author and scholar Dr. Matthew Hora from University of Wisconsin-Madison on Friday, May 12th from 3-4:30 PM in the Science Library room B040. 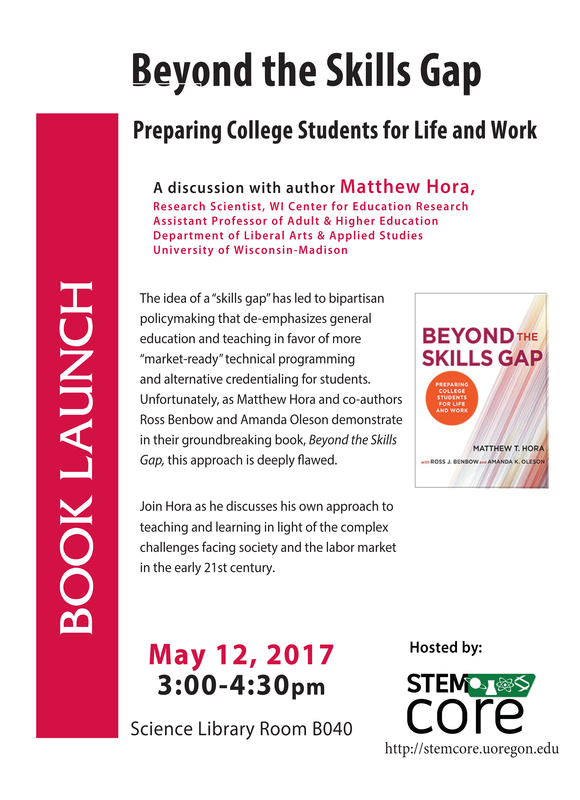 Please join us as Dr. Hora will discuss the research in his book Beyond the Skills Gap which explores the shortcomings of the policy-driven educational movement to prepare students with “market-ready” skills. This event was re-scheduled from the original date of January 18, 2017.